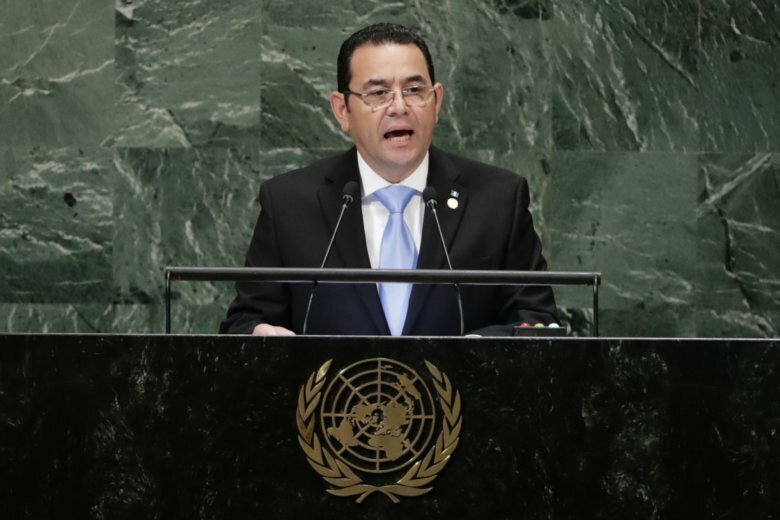 MEXICO CITY (AP) — Guatemala’s government reiterated Tuesday that it is refusing to readmit the head of a U.N. commission investigating corruption in the country, including one pending case against President Jimmy Morales. Vice President Jafeth Cabrera said a legal filing had been presented with the Constitutional Court and “for the time being he will not be allowed to enter” Guatemala. It is the second time Morales’ government has opted not to heed orders from the court to let commission chief Ivan Velasquez back in after he traveled to the United States on a work trip. The court’s rulings are legally binding and cannot be appealed, and failure to obey can bring legal consequences. Prosecutors have said they will wait for the Constitutional Court to make a complaint before taking action. On Tuesday, Morales used his speech at the U.N. General Assembly to rail against the commission, which is known as CICIG, saying it had violated the constitution, Guatemalan law and the agreement under which it was created. He accused the commission of “exceeding its mandate, manipulating justice, attacking the presumption of innocence and due process,” citing those reasons for his decision in late August not to renew CICIG for another two-year term. That decision gave the commission until the end of its current mandate in September 2019 to wrap up its work in Guatemala. Morales had tough words for U.N. Secretary-general Antonio Guterres, saying he showed “indifference and passivity” when presented with the Guatemalan government’s concerns about CICIG. The president’s quarrel with CICIG and Velasquez began in early 2017 when the commission and Guatemalan prosecutors brought corruption allegations against him, his son and his brother. Three times they have sought to lift the president’s immunity from prosecution, a protection that comes with office. The first two requests failed, and the third is pending before lawmakers. Morales is suspected of receiving more than $1 million in undeclared campaign financing. He denies wrongdoing. “With my head held high, I can tell you that our governmental management has no sign of corruption,” Morales, who ran for office on the slogan “neither corrupt nor a thief,” told the General Assembly. CICIG has helped prosecutors bring corruption cases that have ensnared dozens of politicians, public officials and businesspeople, including former President Otto Perez Molina, who was forced to resign from office.